Grace and Frankie is an American comedy-drama web television series first broadcast on Netflix in August 2015. 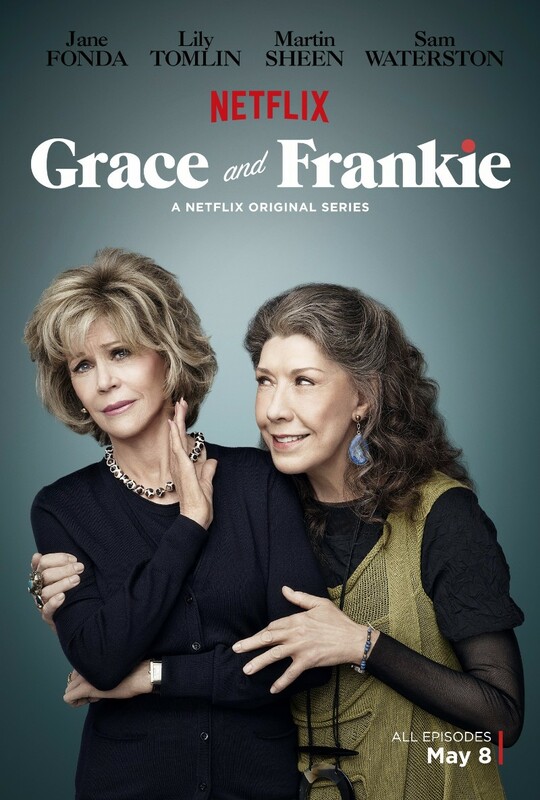 The series follows the story of Grace and Frankie, two unlikely friends who are brought together after their husbands announce that they are in love and plan to get married. The font used for the text “Grace” and “Frankie” is ITC Grouch. ITC Grouch is a high-contrast serif typeface designed by Tom Carnase and Ronne Bonder in 1970 and based on the heavy weights of Caslon typefaces. The “and” part is probably set in House Industries’ Sign Painter Script. The ITC Grouch font identified above is not available for free, please follow the link above and purchase the font. Meanwhile, you can take a look at our collection of fonts for cars, pop music and apparel as well as round-ups of new & fresh fonts around the web. In addition to Grace and Frankie, ITC Grouch typeface is also used in the following logos, movie posters or album covers etc., including: Sierra Burgess Is a Loser.